At BriteChild®, we’re committed to providing great advice to parents and carers of young people. 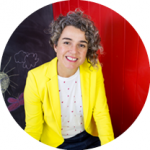 As co-founders of Australia’s leading child psychology clinic, The Quirky Kid Clinic, we understand the power of early intervention and practical expert advice. The research is clear: early intervention is more effective than crisis management. Parents who spot and resolve challenges early on often have the best outcomes. However, as parents, we also know that is difficult, expensive and – until now – inconvenient to receive the advice you need. Provide you with outstanding, affordable and timely advice in relation to child development, education and wellbeing. Look at BriteChild® as your own child development, teacher, researcher or personal assistant for anything to do with child development – without the corresponding price tag. You ask; we research and respond to you. The best part, the more you ask and the more information you provide, the better our responses will be.